One of the most important issues, when a nanomaterial is designed, is to control the synthetic pathways to ensure the final desired product. A combination of dry and wet procedures, as well as chemical and physical methodologies, it is possible to successfully prepare new multifunctional nanomaterials, often as a result of multidisciplinary cooperation between chemists, physics, biologist, physicians, material engineers, etc. Drug delivery, environmental detection of contaminants, and many industrial applications directly rely on properties such as water solubility, permeability, cell penetration, shape control, and size of the monodispersed nanoparticle, among others. Functionalized nanomaterials play a crucial role in modern research areas because of their unique physical and chemical properties, explored in many different fields including medicine and biology, new materials, pharmacology as drug delivery systems, and in environmental analysis for sensing new contaminants, among other technical and industrial applications. For future technological applications, the rational design of these multifunctional nanomaterials is critical, and often depends on the excellent control of the organic and inorganic chemical reactions involved during production. The success of their applications relies directly on the photophysical properties created in the final material, including the emission of light or colorimetric responses, water solubility, selectivity, sensitivity, stability, etc. For example, from an analytical point of view, the detection and quantification of emerging analytes is directly dependent on the selectivity and sensitivity showed by the material in a complex media. 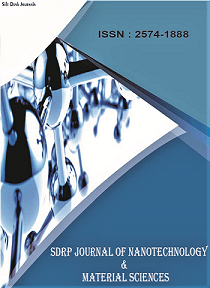 It is expected that all submitted papers will focus their research on the thematic issue of new, rationally designed synthetic strategies, as well as on exploring the specific physicochemical properties needed for up-to-date applications in medicine, biology, pharmacology, catalysis, and environmental sustainability. This Research Topic aims to explore the state-of-the-art and beyond in the rational design of nanoparticles (metallic, polymeric or soft materials) as well as complex nanocomposites for applications in imaging, delivery, energy storage or sensing. Magnetic nanomaterials and composites in catalysis and separation techniques.